The M8 Monitor Arm combines style and strength when it comes to supporting monitors. The unique design of the M8 Monitor Arm is capable of accommodating more monitors than any other arm you’ll find today, and it supports monitors weighing up to 42 pounds/19kg. With the M8 Monitor Arm, you’re not limited to strictly PCs, as there is an adaptor available from Apple that will allow the arm to fit iMacs as well. While capable of supporting heavy monitors thanks to its sturdy build, you won’t have to compromise on style and appearance because these arms are designed to be as attractive as they are functional. 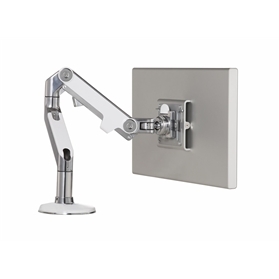 This is the ideal arm for any environment that makes use of flat panel monitors, especially those that are heavy duty. 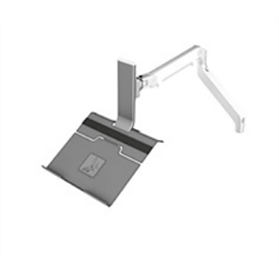 This single monitor arm is easy to install and comes with a simple desk clamp fitting so that it can be securely fixed to the edge of your desk.